Alongside the Galaxy Note 4, Galaxy Note Edge, and Gear S, Samsung also announced the Gear VR yesterday during its event at IFA Berlin. And today the virtual reality headset developed in partnership with Oculus is already up for pre-order in the UK, believe it or not. For now only one retailer seems to have it. Mobile Fun specializes in accessories for your devices, and since the Gear VR needs a Note 4 to function it probably qualifies. To be among the first people in the UK to own one of these, you’ll have to shell out £150. At the current exchange rate, that equates to €189, which is within €10 of the rumored pricing we told you about yesterday. So these things sort of legitimize each other. On the other hand, Mobile Fun is known for putting up pre-order pages for newly announced mobile devices very early, sometimes too early – and in some cases those pages seem to mysteriously vanish after a while. Hopefully that won’t be the case here. There’s no shipping date attached, or even estimated yet, a sign that it might take a while before that Gear VR actually arrives at your doorstep, even if you do pre-order. 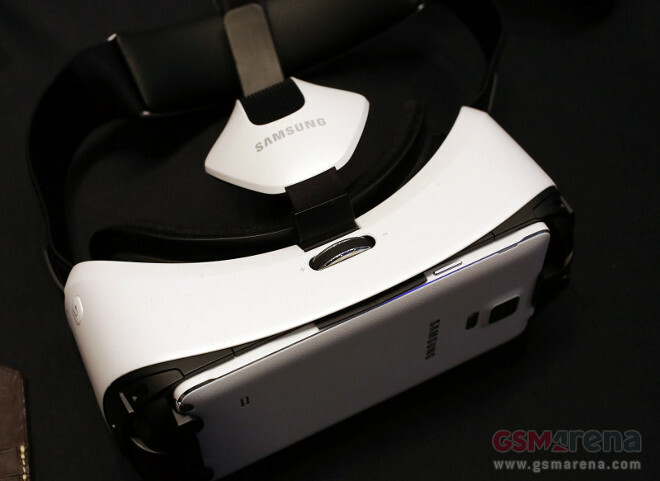 To learn more about the Samsung Gear VR, don’t miss our hands-on straight from IFA.